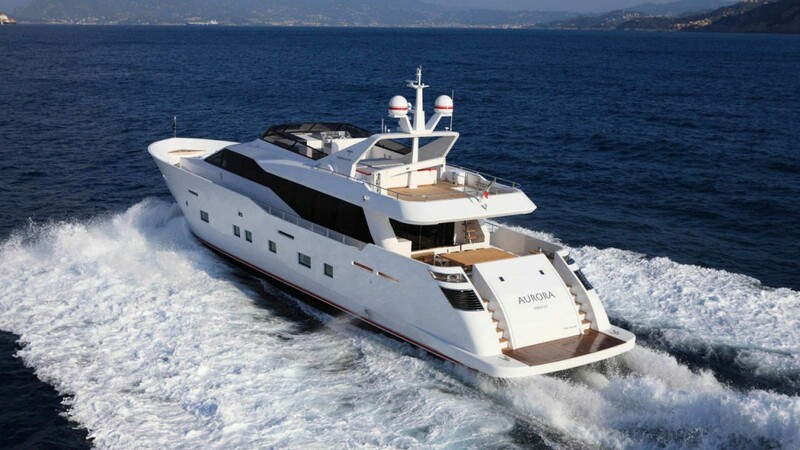 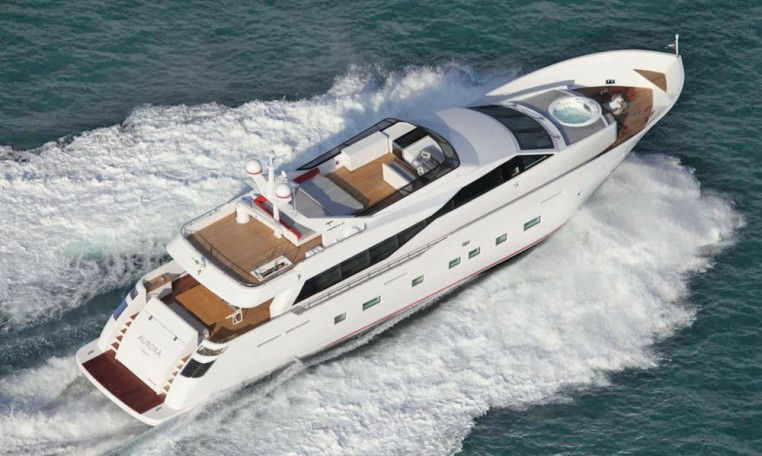 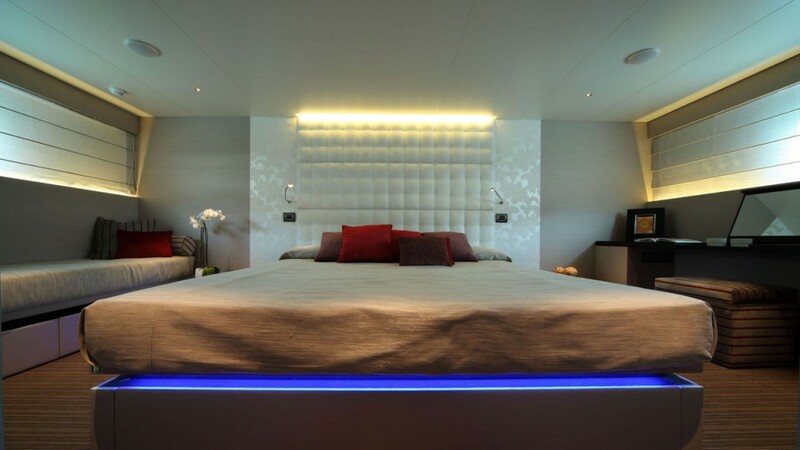 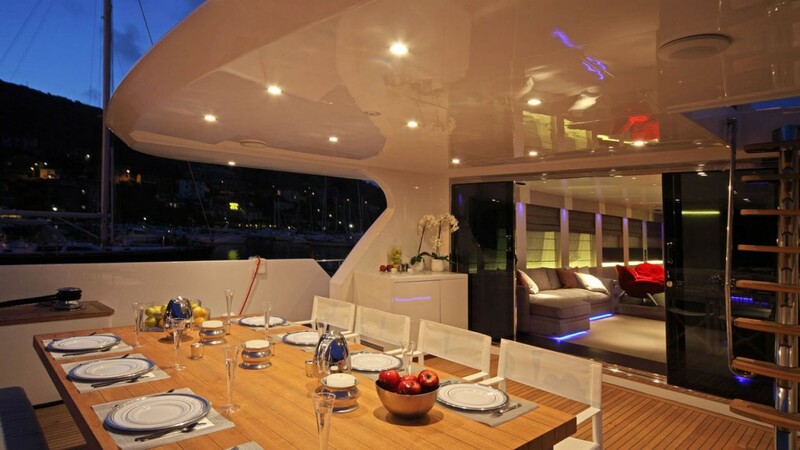 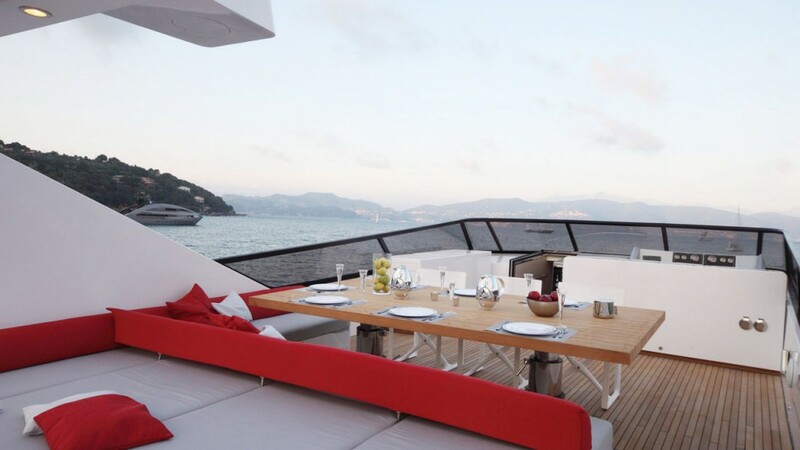 Motor Yacht AURORA will surely take your breath away! 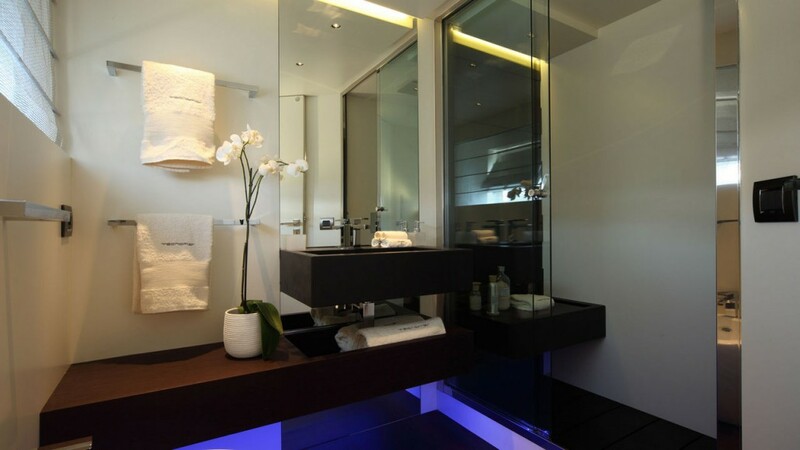 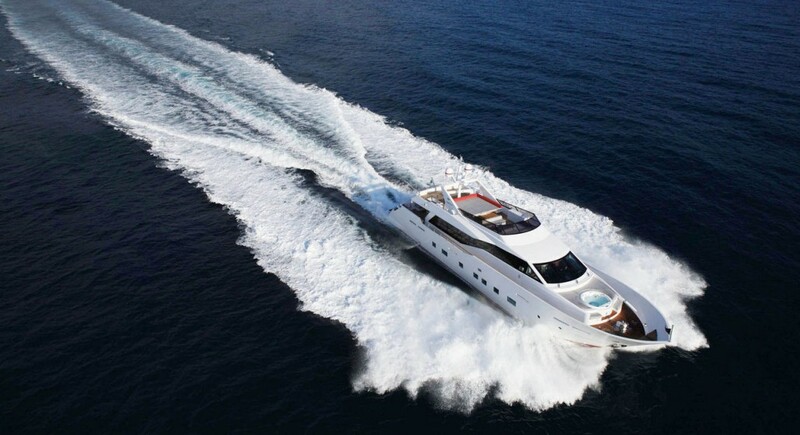 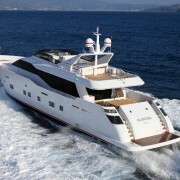 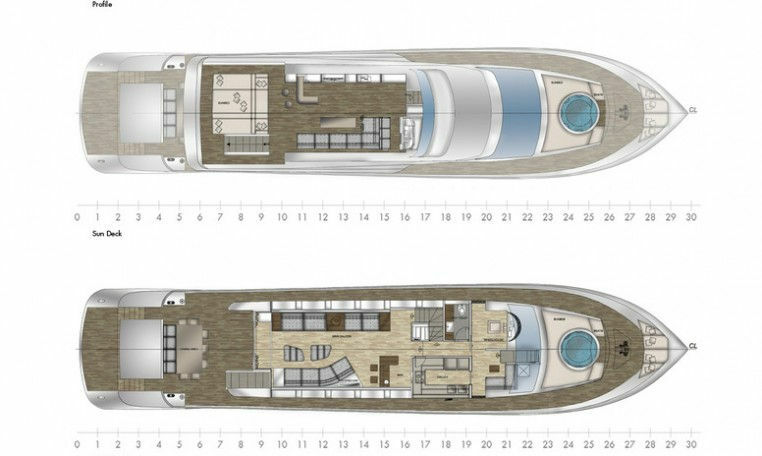 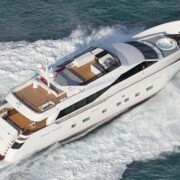 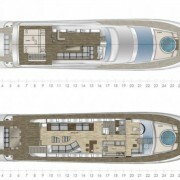 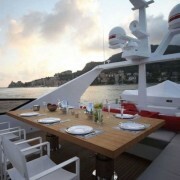 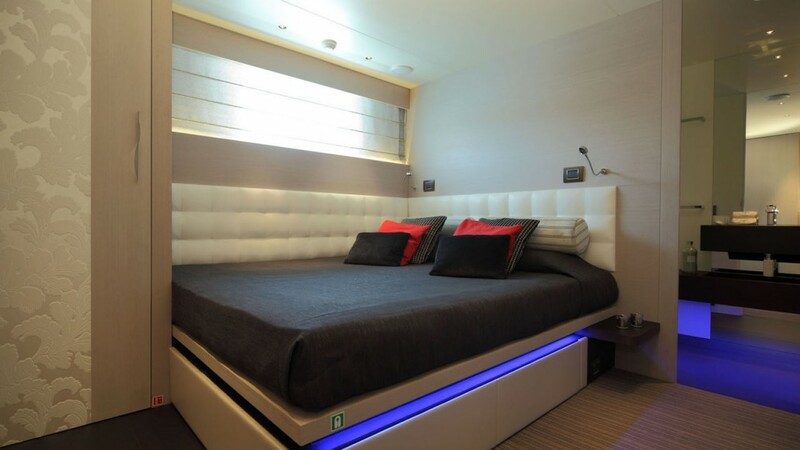 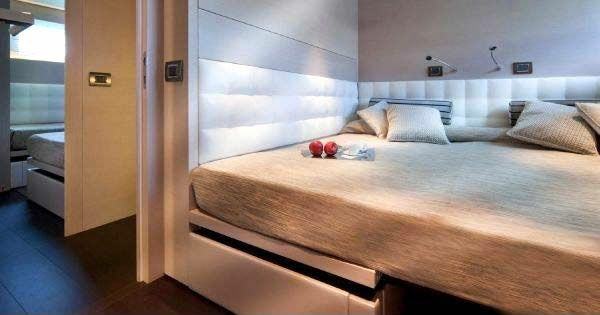 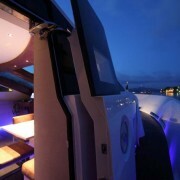 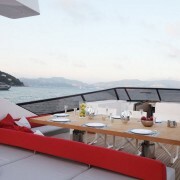 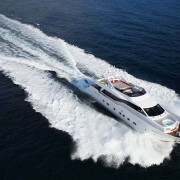 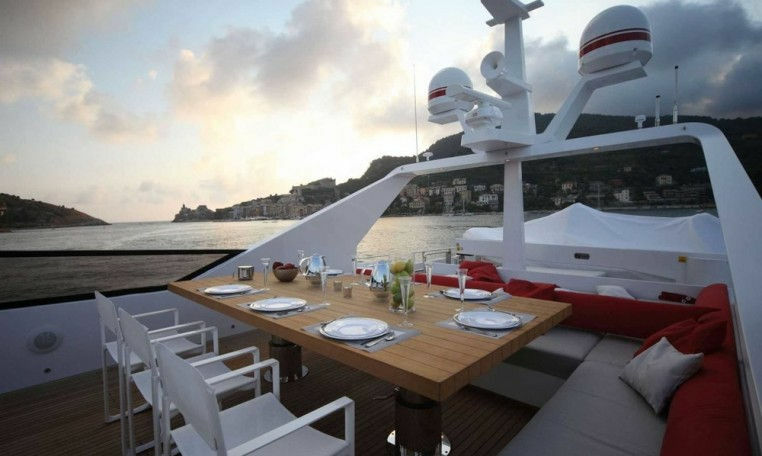 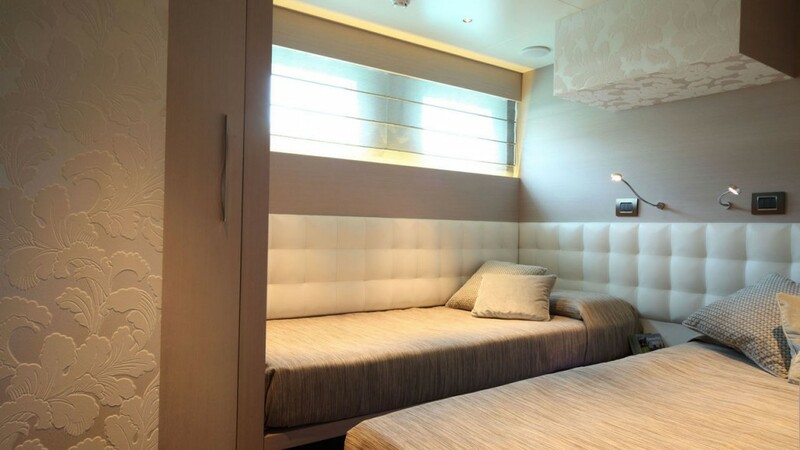 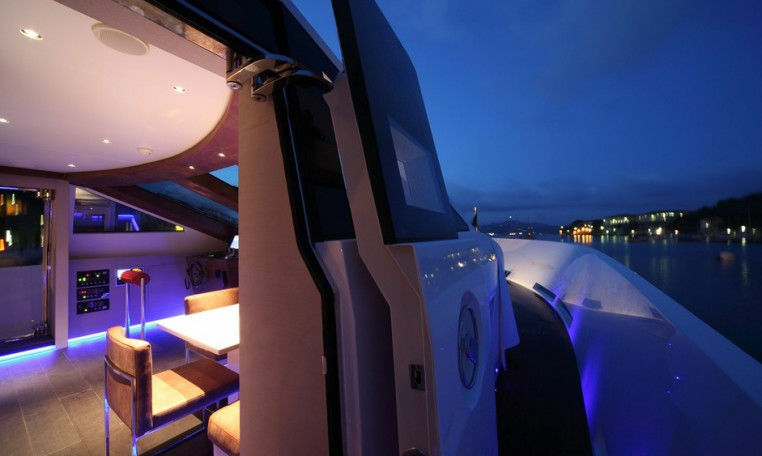 With her Length Overall at 30,60 meters, she can accommodate up to 12 guests, in 5 totally stylish and modern cabins. 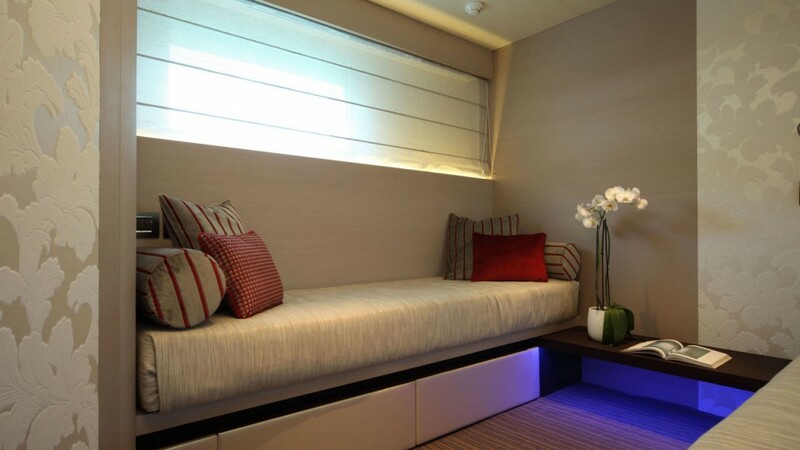 She combines the colors of the Earth, along with a smooth, almost hidden, blue light on her furnishing. 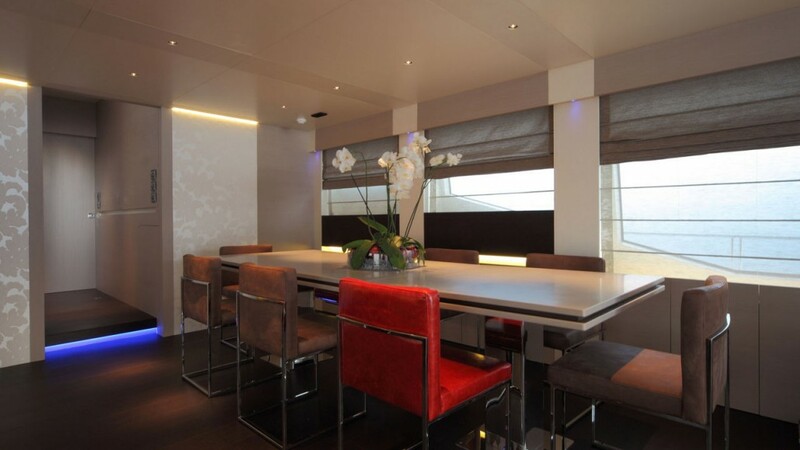 It is obvious that the owners have given a thought to every decorating detail, and the result is re awarding. 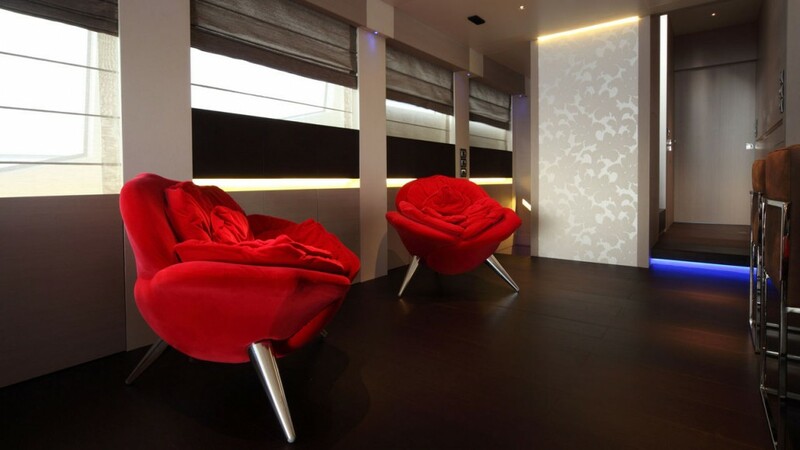 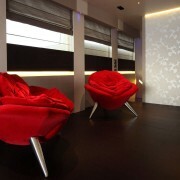 Her common areas are beautiful as well, with plenty of red spots, nailing the guests eyes. 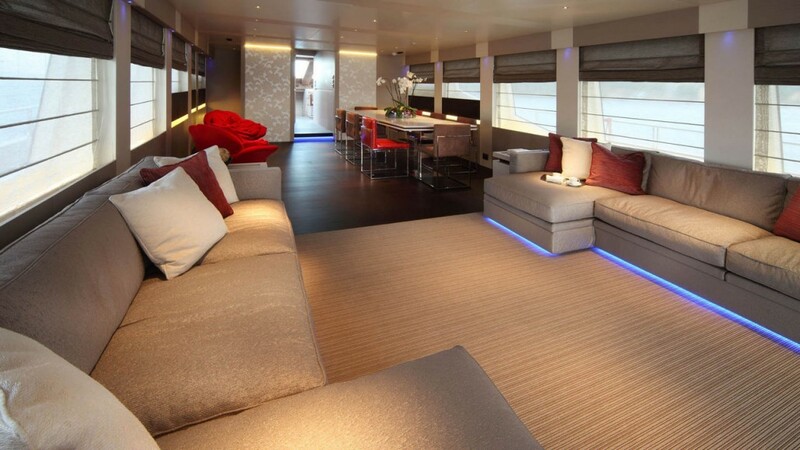 She is extremely spacious on her main salon, and in her dinning room. 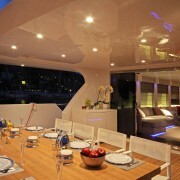 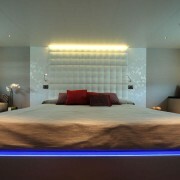 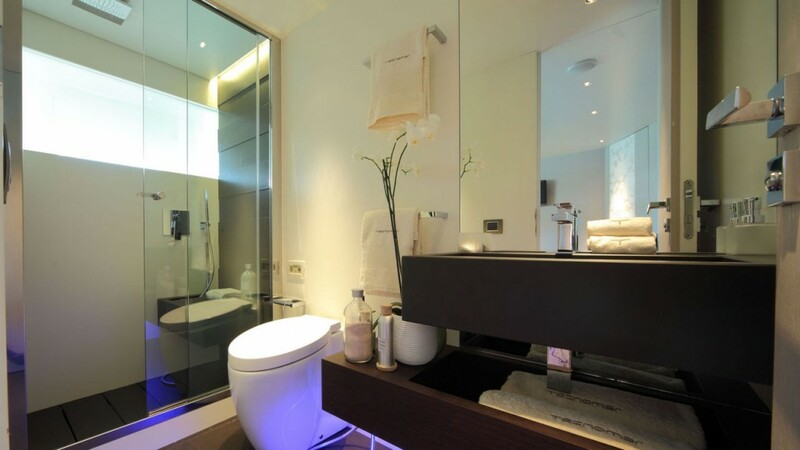 AURORA, creates the most luxurious atmosphere on the outside as well. 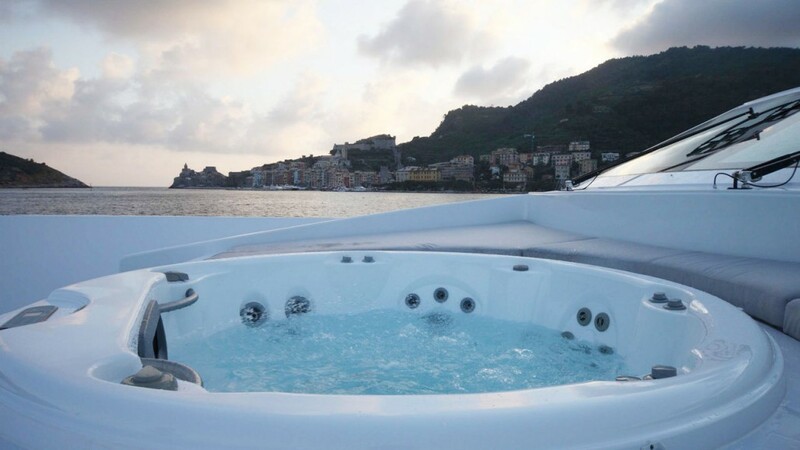 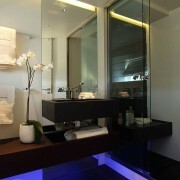 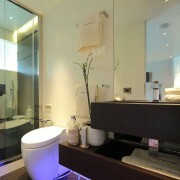 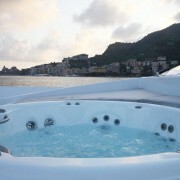 Her Jacuzzi, in quite inviting, and the other exterior areas, reassure that the guests will have the most wonderful time.